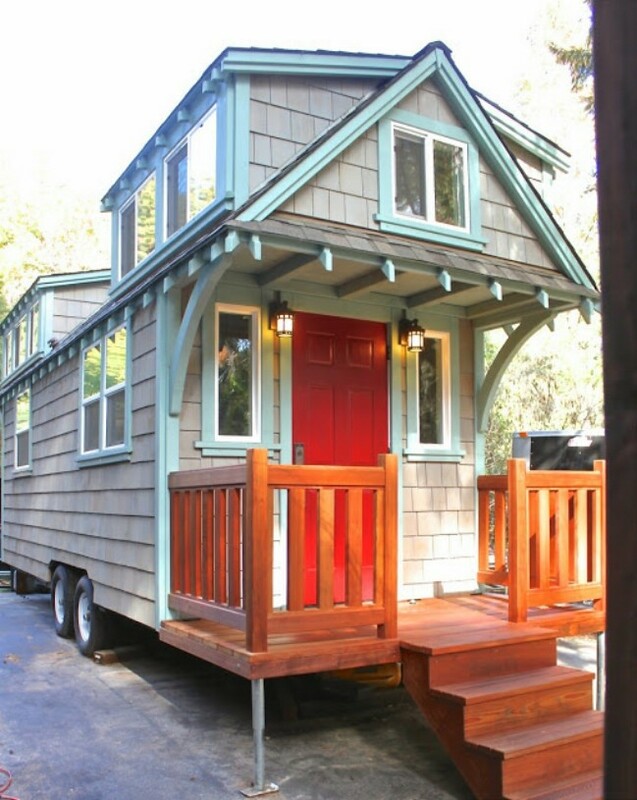 Molecule Tiny Homes from Santa Cruz, California design and build gorgeous and unique tiny homes that pack a ton of charm and character in a small footprint. This particular home is a two-bedroom home featuring cedar shake siding with robin’s-egg blue accents and tons of architectural appeal added in and it retails for $75,000. Measuring 8’6 x 20’, it’s amazing that they were able to add so many details without making the home look too fussy, but somehow, they did! We love the exposed rafters and arched beams. They even found space for a small exterior storage cabinet over the hitch of the trailer. Inside, the home has a classic look with white wainscoting and walls that are covered in grass cloth. 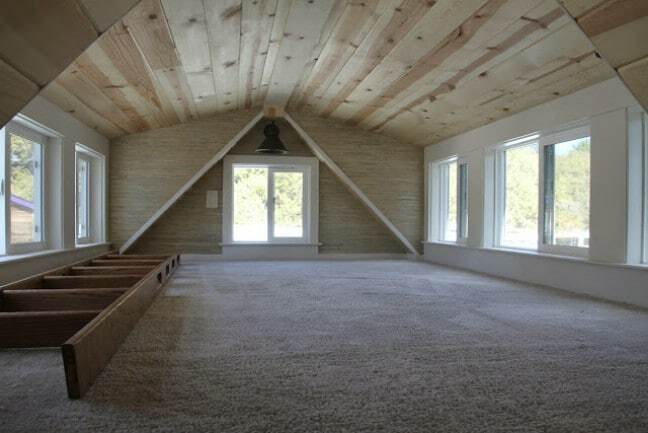 The ceilings are finished in knotty pine while the floors are cork! White windows line the walls letting natural light and fresh air flood the home. 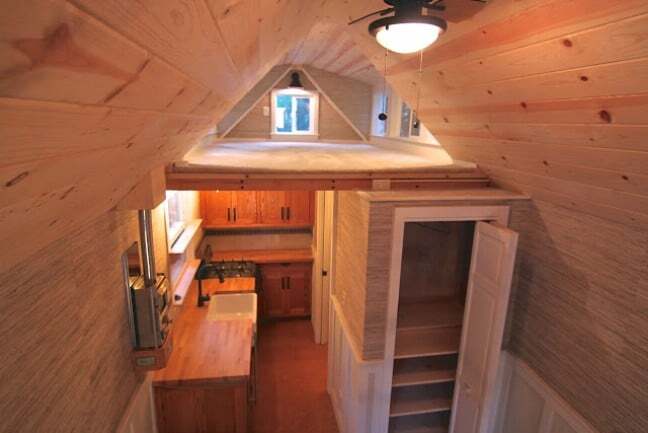 This home has two bedroom lofts, a full bathroom, and a fully functional kitchen making it a comfortable home to live in full-time. High-end finishes and hardware make this home stand out from the crowd and give it a luxurious feel. 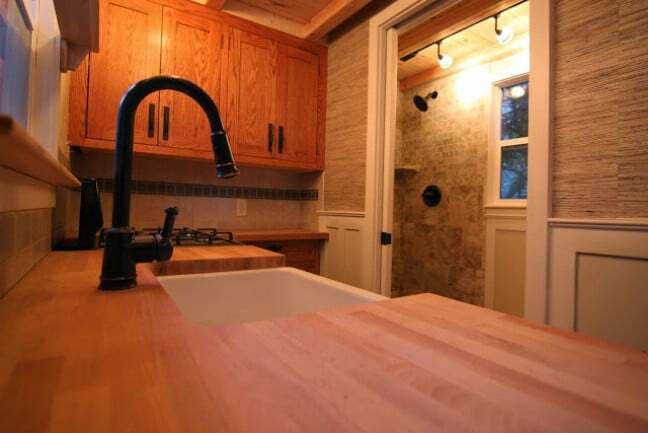 The kitchen has butcher block countertops with a custom tile backsplash and gorgeous wood cabinets. 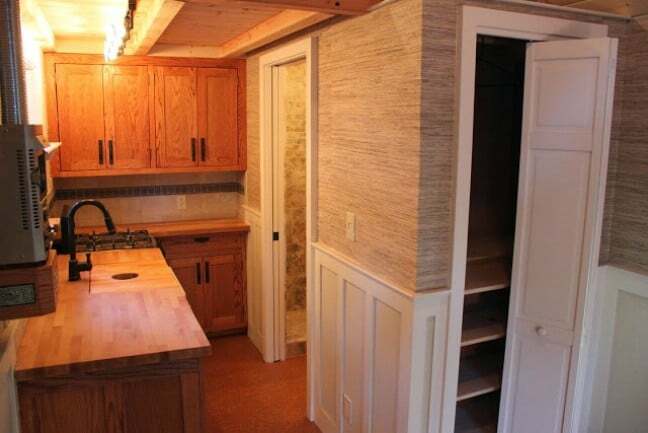 A closet just outside the kitchen has shelves for storage and a rod for hanging clothes. 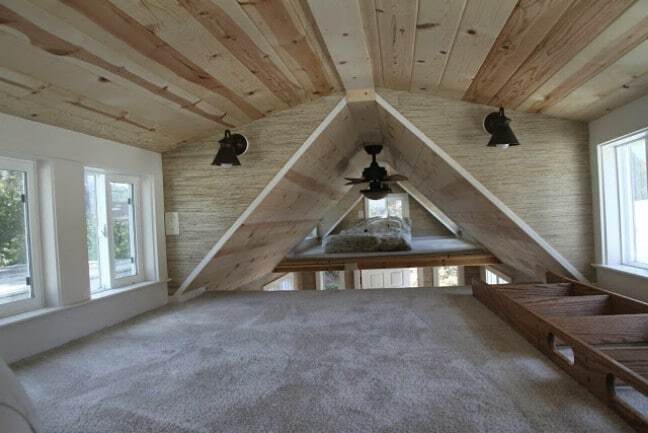 Both of the bedroom lofts have soft carpeted floors and plenty of room for a queen-sized mattress and you could even squeeze a king-sized mattress if preferred. Sconces on the walls give you light at night and the windows can slide open to let fresh air in. 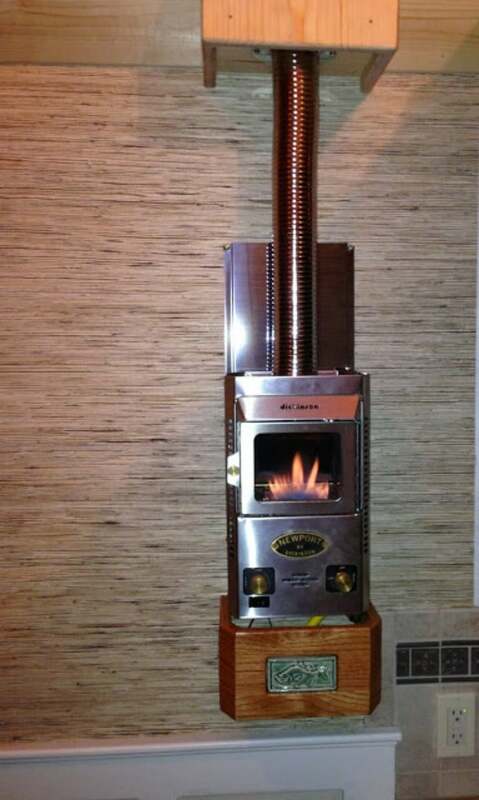 The whole home is kept warm thanks to this compact wood burning stove that’s mounted to the wall just outside the kitchen. A custom wooden perch adds decorative appeal. 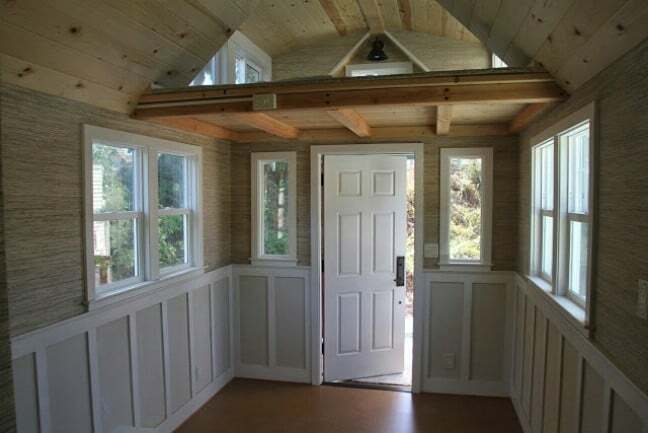 The bathroom is off the kitchen and features a sliding pocket door to save room. 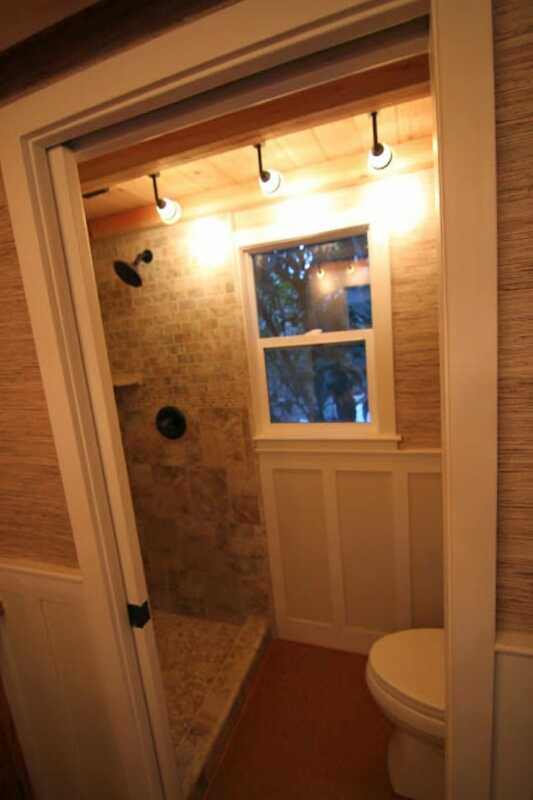 Inside you have an incredible custom shower with stone and tile and a large shower head for a spa-like experience. 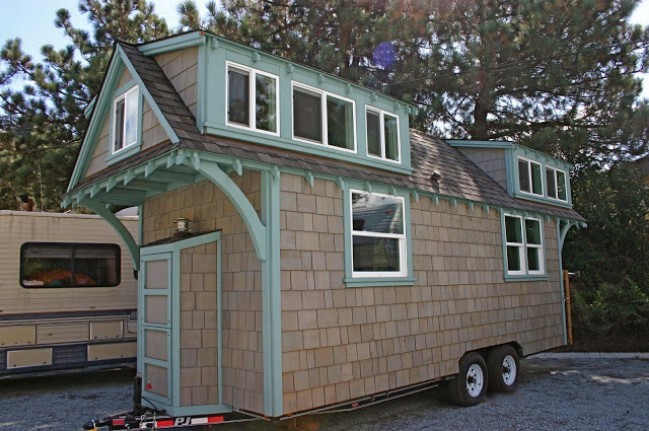 This tiny house could truly be the perfect family home! If you’re interested in learning more about the home, visit Molecule’s website where you can also see more of their homes. 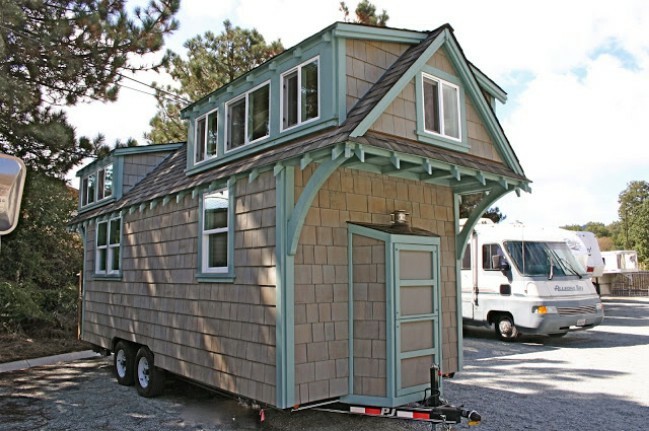 Go to http://moleculetinyhomes.blogspot.ca/.